I've been on a spiritual journey for quite awhile. It started when I was quite young, 25 or 26, living in the big city of Detroit, real far, it felt, from everything that I knew. For me, this was great. I got the opportunity to really think about me and the life that I wanted to live. In the beginning, I started by reading several books by Iyanla Vanzant and Dr. Phil. Yes, Dr. Phil from the Dr. Phil show. His book, Self Matters, is awesome. I was also attending Word of Faith Christian Center led by Bishop Keith A. Butler where I learned more about The Bible during the three years that I attended his church, than I did all of the previous years of my life, and know that I was raised in the church. Boy was I reading and studying. Finally, In Detroit, reflecting back, when my spiritual journey had gone as far as it could go there, I moved on. In DC, I continued to read and study. Because there are so many people in the DC area with so many different stories, I began to become more accepting, tolerant, and appreciative of different people, ideas and thoughts. Once I got to this place, life really became more fulfilling and meaningful. It's so freeing to allow people and situations to BE instead of trying to change them. Some of the books that have been instrumental to me on this Journey is The Power of Now by Eckhart Tolle who states in his book that " Realize deeply that Now is all you ever have. Make The Now the primary focus of your life." I try to enjoy wherever I am and not judge every situation. Some things just are. They do not have to be good or bad but is. Sounds crazy, but try it, if only for a few minutes, just be wherever you are with no judgement. Another book that really fed my spiritual journey is Love and Awakening by John Welwood. In this book Welwood states: "When we are cut off from something inside ourselves, then it feels all the more urgent to get it from someone else. 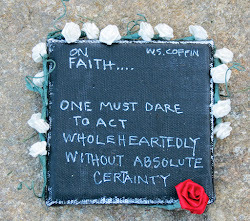 This urgency often has a life-or-death emotional charge. And we direct that at others, it pushes them away. But when you give yourself what you need, other people feel less pressured and that lets people move toward you." WOW! Stop and read again. This man is deep. The Bible has been the primary source on this journey. Now, I love to read Old English so I prefer the King James' version of The Bible, but this year I have been reading The One Year Bible where a person can read the entire Bible in one year. I love it! I don't have to give much explanation for The Bible, it speaks for itself: It is the master blueprint for life. 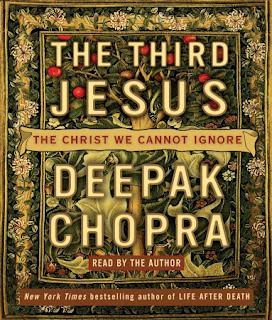 Excuse me for going around the way to get to The Third Jesus, but I needed you to know how I came to read this book in the first place: Andrew Young, former Mayor of Atlanta, mentioned it in a speech, and I thought that maybe it could add to my spiritual journey. This book takes biblical scriptures and look at Jesus from different perspectives. He discusses the idea of us raising our level of consciousness to a God-consciousness. For example, he states that in order "to bring peace to yourself, you must quell your own violence; the enemy outside serves only to mirror the enemy inside. Your ability to remain nonviolent depends on a shift in consciousness, and if you are successful in changing yourself, reality will mirror the change back to you." WOW!!!! At the end of the book, Chopra offers fifteen steps to God-Consciousness. If you are at the beginning or the middle of your journey, check this book out, but if you are not into abstract thinking, then this might not be the book for you. Not sure where you are on your journey or if you are on a journey at all, but I hope that you are living the life that you like and is living it consciously. As stated by Jody Starks from "Their Eyes Were Watching God," Thank yuh fuh yo' compliment." I humbly accept. I love your blog Jackie! We seem to share a common interest in books. If you haven't done so alreay, check out Joseph Campbell, The Power of Myth... He's amazingly deep with a unique persective on all aspects of life. I think you'll enjoy his work as well. Stay inspired and you will continue to inspire others... Happy journeying! Wow! Even though this post is nearly 5 years old, it speaks to me greatly. I have been on this spiritual journey of sorts. Can't force myself to go to church anymore because I feel there's something much more to life than sitting and getting a sermon, shaking hands with people who give lip service and no heart. I love God and believe/know He's real. I find it difficult to be associated with an organized approach to seeing God a certain way and to sit/fellowship with people who only want a certain "group" to be saved and appreciated. In listening to Oprah's Super Soul Sunday specials, I learned about Joseph Campbell, read The Power of Now, and have fallen in love with The Alchemist. These books and people have enriched my soul greatly! I also meditate with Chopra's led sessions. All of which have increased my conscious-awareness of things not thought of before. 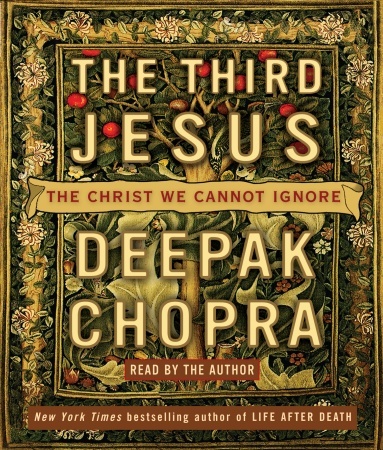 I will definitely read The Third Jesus because it seems to be the direction my soul needs to take next.